Want a healthier and brighter smile? Dental implants have come a long way in the last 40 years, according to the American Dental Association, and can help replace missing teeth. If you're interested, dentists at Today's Dental, Dr. Tiberiu Oancea and Dr. Jeromy Thornton can help. Dental implants are made up of a titanium post that is surgically inserted into your jawbone to replace your missing tooth root. The body doesn't reject titanium because it is biocompatible, creates stability and strength, and prevents the weakening and shrinkage of your jawbone. The dentist then seals your gums and allows 3 to 6 months for osseointegration to occur, which is when the titanium fuses to your bones and reinforces your jaw. 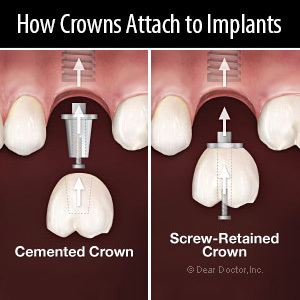 Afterwards, the patient needs to come back to the office in Houston, TX, so that your dentist can place an abutment above the screw, and secure a crown on top that matches the rest of your teeth. Like the rest of your teeth, make sure you brush and floss your implant every day. Also, a change in diet is beneficial. Eating plenty of fruits and vegetables and avoiding sugary foods to prevent the accumulation of plaque is beneficial to your oral health. Would you ever need to fix dental implants? If you have more questions about dental implants, call your dentists at Today's Dental, Dr. Tiberiu Oancea and Dr. Jeromy Thornton, at (281) 580-0770 today! Don’t let tooth loss ruin your oral health; dental implants can help. 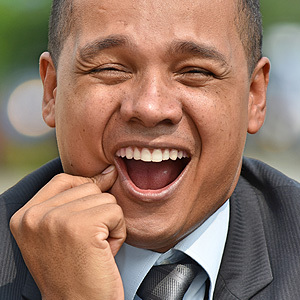 The moment you lose a tooth your mind may immediately go to how to treat the issue and the best replacement tooth for the job. Our Houston, TX dentists Dr. Tiberiu Oancea and Dr. Jeromy Thornton have you covered. We can talk to you about the different options available to you so that you can make the most informed decision about your oral health. Today, we are here to tell you about dental implants. An implant replaces your missing tooth roots with a small metal post or screw that is surgically inserted into the jawbone. Replacing the tooth roots is important for your overall oral health and getting a dental implant offers you a long-term and sturdy foundation from which to support an artificial tooth like a dental crown. What makes dental implants different from other tooth replacement options is that once our Houston restorative dentist places the implant into the jawbone it will begin to naturally fuse together with bone and tissue over the course of several months. Once the implant integrates with the jawbone it is now a permanent structure designed to last several decades. Once the implant and the jawbone are one, the next step requires us to place an abutment, or connector, on top of the implant. This will require another minor surgery in which we will open up the gums to reveal the implant and place the abutment over top. The purpose of an abutment is to connect the implant with the dental crown. In some instances, the metal implant will already have an abutment built-in, in which case you won’t even need to undergo this second procedure. Once the gums have had time to heal from surgery we will then cement the dental crown over the abutment. Each crown is custom-made just for you. While getting a dental implant can take several months you could end up having it for the rest of your life! Do you have questions about getting dental implants in Houston? Do you want to find out if you are the great candidate for implants? Then it’s time to turn to our knowledgeable caring team at Today’s Dental to help you get your smile back.